The capital of South Korea, Seoul's rapid globalization over the last 50 years have been nothing short of spectacular. A significant shift in the design scene in Post Industrial Seoul has resulted in an explosion of creativity and interest in experiential design. Local creatives are earnestly pushing boundaries of furniture, art and retail design by fusing innovative materials with traditional techniques, bringing Seoul's design scene to the forefront of Asia. Below we highlight some standout local creatives, design shops and our favorites eateries visit during our trips to Seoul. It does not get any more central than this a 25-room boutique hotel minutes away from City Centre. Despite the central location, you are guaranteed seclusion as SHBG is tucked away on a side street. Local studio Design Methods kept the material palette honest and minimal by using birch plywood, polished concrete and copious amounts of white. 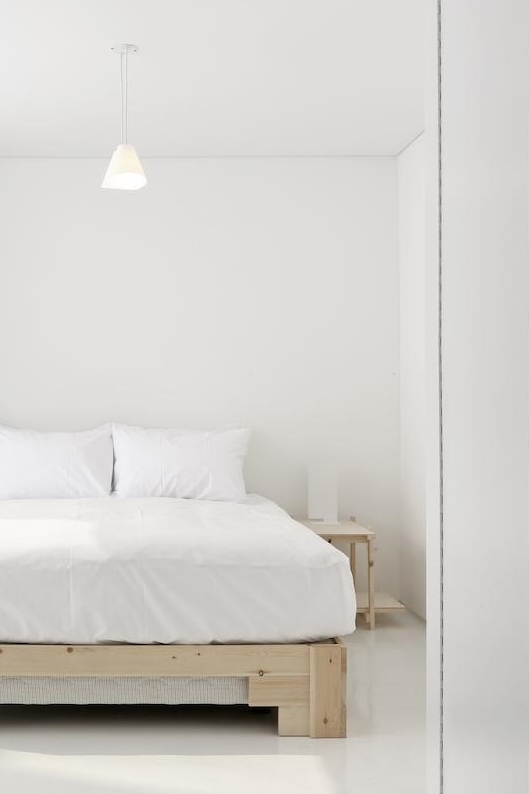 Minimal elegance at a reasonable price - this is our kind of home away from home. On the opposite end of the spectrum, the Four Seasons draws on traditional Korean architecture. LTW Designworks used wooden beams, lacquered frames and silk-screen printings to subtly modernize age-old Korean motifs. The Four Seasons experience is evident throughout and continues on to the restaurants & bars, especially classic Japanese restaurant Kioku. A great choice for those looking for a luxury option north of the river, away from the flashy Gangnam District. Located on the slope of the Namsan Mountain in Hannam-dong, Leeum is divided into 3 main buildings showing traditional and modern collections. 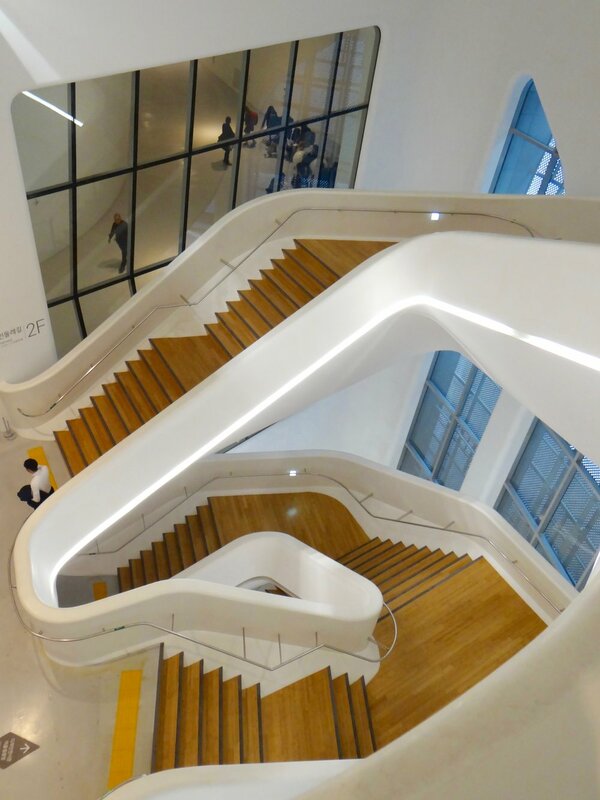 If you only have time to visit one museum, making it this one, as architects Jean Nouvel, Rem Koolhass and Mario Botta have combined their aesthetics to create a truly unique experience. We recommend entering through the outdoor courtyard, a marvel in its own right with multiple Anish Kapoor and Calder pieces soaking up the sun. 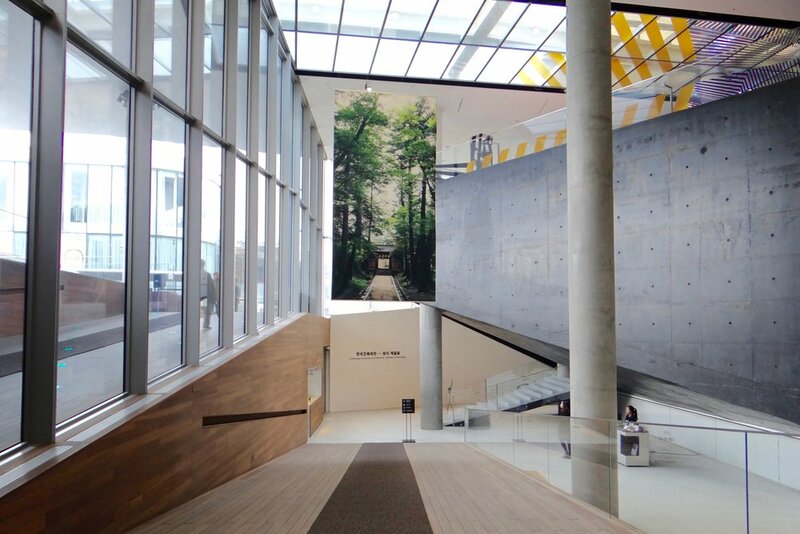 Focused on interactive and experimental exhibits, D Museum often brings forth young artists. We toured one of our most memorable exhibitions to date here - Hermes' "Wanderland". The journey through Wanderland was a curious adventure strolling from room to room holding a looking glass, peeking into objects from Emile Hermes' collection from 24 rue du Faubourg Saint-Honore in Paris. If photography is your preference, head north towards Samcheongdong to Daelim as it is well known for its photography focused exhibitions and has been designed with special consideration of photos sensitivity to humanity, light and temperature. Be sure to stop and grab a coffee at the Vincent Cornu-designed leafy cafe downstairs. The most stunning out of the 3 major palaces in Seoul, Gyeongbokung Palace’s sprawling premises remain untouched by time. Arrive early to catch the rare Guard Changing Ceremony to catch a glimpse of how the royal guards of Joseon Dynasty used to perform this duty. Stop by the waterlily-covered Hyangwonjeong Pavilion before taking the east exit to continue on to Bukchon Hanok Village. Bukchon is home to hundreds of traditional homes called “hanok” and the sloping streets offer views overSeoul. Small boutiques and cafes are tucked into alleys - try out a unique dessert menu at Cafe Bora and try on unique frames at standout local brand Gentle Monster. A stark contrast to Bukchon, Dongdaemun Design Plaza's neofuturistic architecture has made it one of the most iconic landmarks in Seoul's design scene. Its five halls and landscaped park provide Seoul with a hub for art, design and technology Designed by Zaha Hadid Architects & Samoo, it features a futurictic, organic shape made up of 45,000 perforated aluminium panels of various sizes and curvatures. The perforation patterns are highlighted by night as the backlit panels mimic a light show, casting a soft glow over the adjacent plaza. Coffee is where Seoul truly shines and More Than Less (mtl) - a select shop and design studio tucked away in the sloping streets of Hannam-dong is our favorite of the bunch. Owners Hyobin Kim and Sang-gyu Woo created the concept store to allow customers to relax in a cozy environment and browse their products.The raw, industrial look complemented by custom built furniture and draping plants is inspired by the Bauhaus Era and the couple’s shared love for Germany. In fact, mtl is the sole distributor for Bonanza Coffee in Seoul. The shop showcases a curated collection of objects for the home as well as their own accessories line Steekish. Located on the top floor of Queenmama Market, Manufact Coffee is a stunning A-roofed bright and airy space set up like a cafeteria. The linear coffee bar is decked with treats and an extensive collection of Dutch Coffees in glass bottles. They manufacture their own machines to suit and study different beans, so expect a perfect cup. All beans are roasted in house and the Nicaragua (availability will depend on season) stands out to us. Go early to grab a spot in the balcony overlooking the affluent Dosan Park neighborhood. Set within a repurposed shoe factory, Anthracite has kept the original bare concrete wall to reflect the brutalist industrial heritage of the lot. The concrete is offset by a large display of plants and otherwise left untouched. 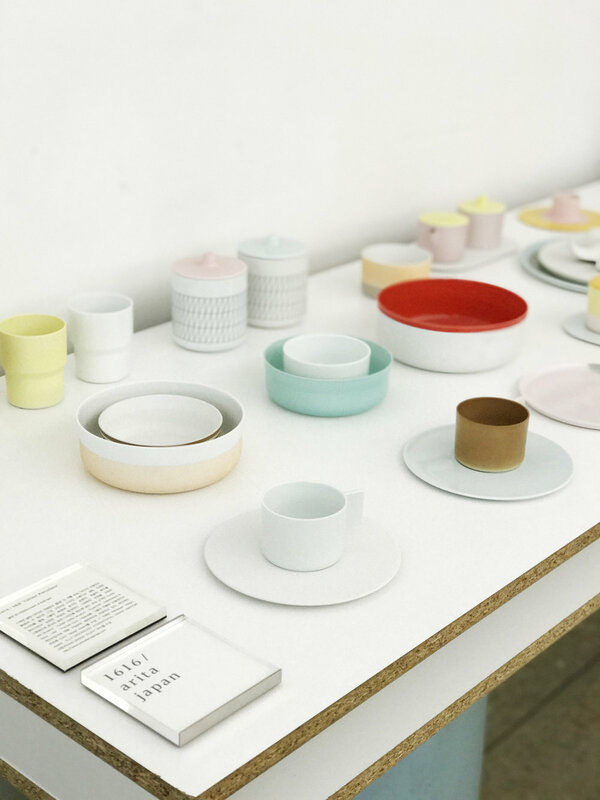 Grad a cup and stay a while, or browse the rest of the complex where D&Department, Millimeter Milligram and Freitag houses stellar furniture and home objects. Secretly located in an unground lot amongst residential buildings close to Dosan Park, Underyard may be tricky to find but is very much worth the effort. Expect a chic, no-frills interior with single-origin coffee beans and an excellent cast iron shakshuka. Bear Cafe serves specialty coffee in a quiet alleyway in Gwanghwamun. Set in a 70-year-old traditional hanok where the original structure has been left undisturbed, Design Eum added a few modern touches to highlight the juxtaposition of the space. Expect a traditional Korean courtyard with bonsai, a ceramics & magazine shop and the most tranquil setting to take a break from the bustling city life. Tea collective is a joint effort by a group of art directors and designers with a common interest in procuring high-grade locally harvested teas. Designed by Seoul-based art direction group Artment.dep, the refined interiors encourage clients to slow down, recharge and connect with the local community. You can find a selection of unique teas here but Gamip-cha (dried persimmon leaf tea) is our firm favourite. Our favorite restaurant for traditional Korean comfort food, Parc serves authentic Korean cuisine with a healthy twist using family recipes from owner Pak Mogua’s mother. Set in a refurbished private home a few minutes from Leeum, the understated cozy interiors make for the perfect meal to follow your m. The menu varies weekly, but the braised chicken and mackerel are standout dishes. Chef Jung Sik Yim’s eponymous Michelin-starred restaurant takes a an ultra-modern approach to traditional Korean cuisine. A name play on his name, Jung Sik is the korean word for formal dinner, and Yim has set out to redefine the word by dubbing it New Korean. Drawing inspiration from the familiar dishes of his childhood - kimbap, bossam, bibimbap - Yim applies Korean culinary techniques to local, seasonal ingredients. Expect an excellent wine list and whimsical desserts. Ilhochic serves traditional Korean food in a refined, immaculate setting that is comfortable and casual. Popular during lunchtime with locals, this cafe style restaurant is owned and operated by design firm JOH and the attention to design details are evident throughout the space. Order the bulgogi with soft egg over rice or the salmon for a taste of a modern take on traditional specialities. Representative of hole-in-the-wall dumpling joints from Hong Kong, Jooo’s is hidden in a small alley in the fashion-centric Garusogil. The humble, plywood lined interiors feature a small space with a handful of tables and open kitchen so you can admire chef Lee Byung-Joo artfully constructing thin wonton wrappers. Their cantonese style soup dumplings are the best is Seoul and we suggest pairing them with Jooo’s take on Lanzhou Beef Lamian. The only establishments more abundant in Seoul than specialty coffee shops is are gogi-jips, or “meat houses,” serving kalbi (marinated short rib), bulgogi (thinly sliced sirloin in a soy sauce-based marinade), and samgyeopsal (strips of marbled pork belly). Some of these restaurants have taken this one step further to focus on only one ingredient such as beef, and our favorite of the bunch is Usiya. Drawing their inspiration from a classic Japanese-style grill house, Usiya lets you choose your preferred cut of Hanwoo (comparable to Wagyu) or leave the decision to the chef. Each bite is accompanied by unique house made sauces, and the combination of the flavours is truly exceptional. Arrive early to grab one of the 12 seats. Set in the outskirts of Seoul in Seongbuk-gu, Chapter 1 Collect is worth the trip. Under the high ceilings you can expect to find unique collectibles and classics amongst local vintage pieces. Each object has its own story, making navigating the shop an adventure itself. Owners Gaon Kim and Byungjun Koo sought out to fill a hole in the slow moving local design industry and only curated pieces that defy trends - setting the apart from the other shops in the city. The couple also has a more youthful lifestyle concept store in Garusogil - Chapter 1 - that carries their inhouse brand Still Life. 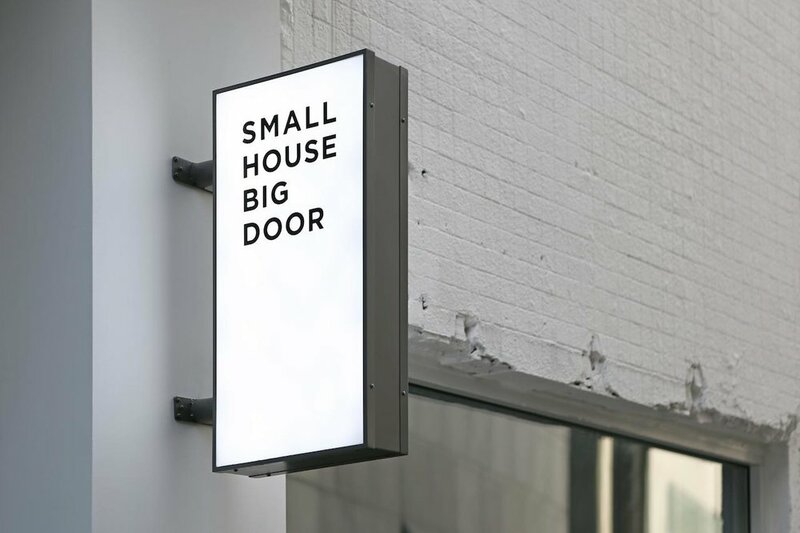 Millimeter Milligram started as a stationery & accessories design studio and later expanded to a brick and mortar store. The founders chose the name to bring attention to details, no matter how small, can make a difference in the way we live. The Itaewon Retail Store showcases all of the bands original products as well as unique brands that live by the “less is more” philosophy in a minimal concrete walled space - such as Freitag (functional Swiss accessories), Karimoku (Japanese minimal furniture) and D&Department Seoul. The idea is to introduce consumers to functional, non trendy design that are ethically made and last a lifetime. Housed in the same complex as Millimeter Milligram and Anthracite Coffee, Post Poetics is a boutique bookstore that focuses on books and collectible magazines in both English and Korean. The goal is to create a space for active exchange between domestic and international arts & culture - and a walk through this bright space will inspire you no matter what your project or interest. Post Poetics also works in the fields of art direction and graphic design and their taste in evident throughout the curated selection of publishings they carry. A local brand making waves in the eyewear industry and not just with their avant-garde frames is Gentle Monster. The design team is devoted to pushing the boundaries of traditional retail through impeccable theme curation and each store takes the visitor through an sensory experience. 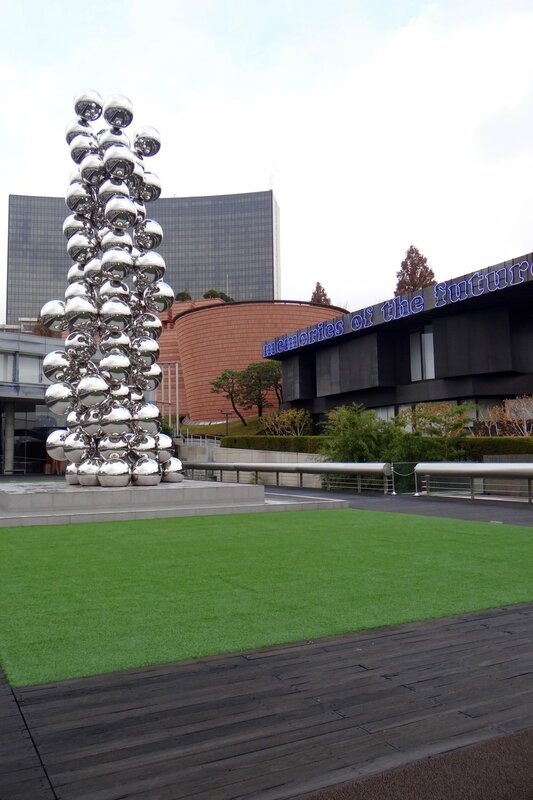 The flagship store in Hongdae, for example, is a study in natural aromas and its effect on the conscious in a space dotted with kinetic sculptures. The Bukchon flagship coexists inside a preserved bathhouse, with much of the water heating mechanism still intact. Innovative and spatial experiences encourages individual interpretation and as a result, a truly unique retail experience. Nested in the fashionable neighbourhood of Dosan Park, Queenmama is Seoul’s answer to the rising trend of concept stores. The brain child of design duo Jinyoung Kang and Hanni Yoon, QMM curates interior and lifestyle objects in a voluminous, minimalist, four-storey space. Expect to find handmade ceramics, home fragrances, rare books and and a large selection of plants. We recommend starting at the Pop-Up Market in the basement and making your way up the concrete staircase to glass-ceiling-ed Manufact Coffee Roasters on Level Four. Famed Korean skincare brand Sulwhasoo’s Flagship Store & Spa is set on a quiet street in Dosan Park. A continuous grid structure of delicate brass surrounds the building - starting the customer experience well before you set foot inside. Designed by Shanghai based Neri & Hu, the brass installation moves with you, climbing from the spas in the basement to the fourth floor terrace. A number of voids in the building paired with mirrors give the illusion of long winding hallways inside a compact space. The interiors are dotted with furniture by Stellar Works, Carl Hansen and Arne Jacobsen to reflect the brand’s originality and expertise in their industry. We recommend picking up a bottle of their signature Cleansing Oil to add to your skincare ritual. Our love for Danish design runs deep and Dansk is the spot we recommend to friends when they are in search of pieces that will stand the test of time. Best described as a Scandinavian lifestyle shop, Dansk curates classic, vintage furniture as well lighting, accessories and ceramics from independent designers from across Scandinavia. Aside from the vintage Wegner peices, we have our eye on ceramics by Anne Black and Michael Anastassiades' minimal and sculptural Mobile Chandeliers. 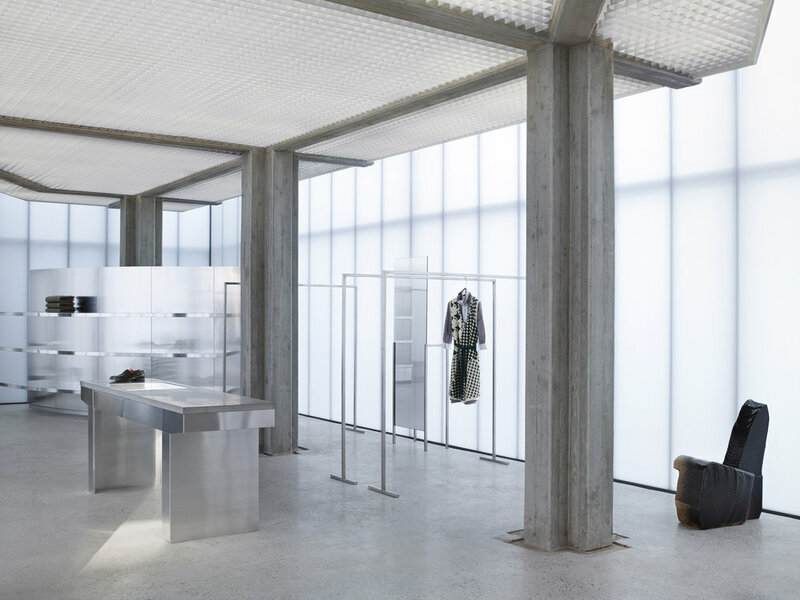 Architect Sophie Hicks’ Acne Studio Flagship store is a restrained, simple structure, quite different from the gleaming exteriors of the neighbouring stores set in the affluent Gangnam neighbourhood in Seoul. Her design approach was rooted in the philosophies of the brand - Acne Studios purposefully designs forceful and attitude-exuding pieces that stand out in a society that values ‘modesty and discretion’. 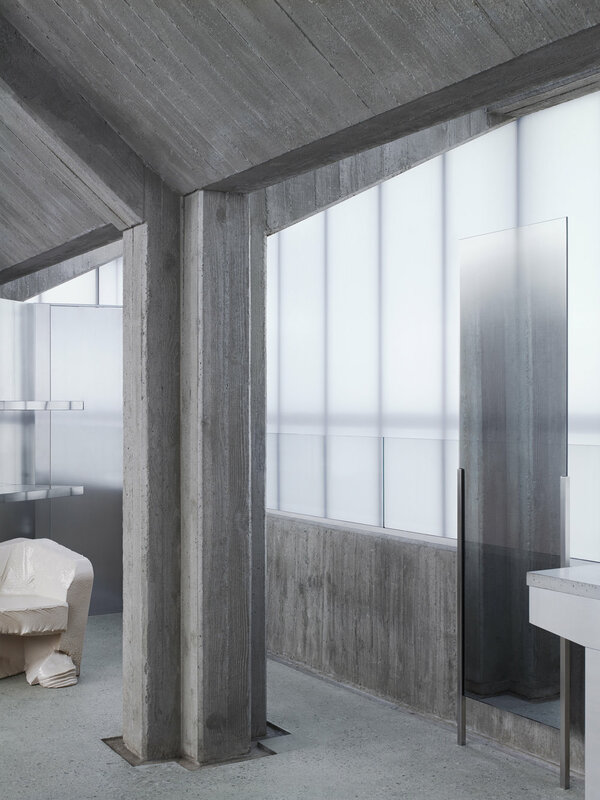 From the outside, the space is quite and symmetrical but once inside you notice the concrete heavy structure flanked by reflective metal walls and surrounded on all sides by translucent polycarbonate walls. The two stories are completely free of decoration or equipment as all ducts and pipes have been placed on the roof.